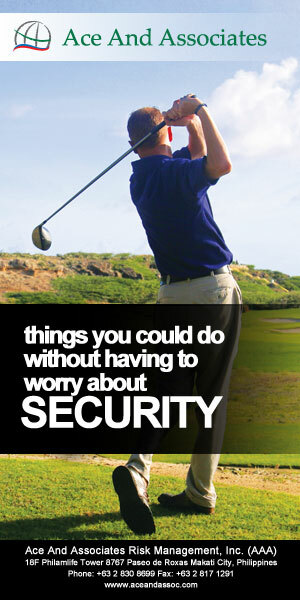 Home Security By IndustryCorporate Security	Why Information Security And Confidentiality Is Important In Your Workplace? Why Information Security And Confidentiality Is Important In Your Workplace? According to an IDC Energy Insights report, one of the key findings include Western European utilities investing the most in cybersecurity in 2016. Data loss and leakage prevention, mobile security, and cloud security are found to be top priorities in that regard. The shifting of lenses towards cybersecurity is now realized on an international scale wherein the first Cyber Investing Summit, an event featuring investment opportunities in the industry, will take place on Wall Street this year. The emphasis on cybersecurity begs the question, does your workplace value the information it gains and holds? How vigilant is it when it comes to data breach? No matter the scale, every workplace must ensure and enforce security and confidentiality of its information assets among its employees, clients, and other business partnerships. These assets may refer to information processed in the back office: business process outsourcing, recruitment, compensation, employee management and other processes, or information delivered in the front office: client transactions, partnership deals, and contract information. When an organization fails to protect information on its employees, management, and business, a varied number of unfavorable consequences can occur. To avoid fraud and identity theft, the HR department stores and protects employee information. This covers employees’ social security number, personal contact information (home address, phone numbers, email address), family/background information, etc. Not all information kept confidential is for the sake of preventing something illegal from happening. Sometimes, information is kept confidential in the workplace, like management information, to prevent detriment to the morale of employees. Disclosing issues of terminations, disciplinary actions, and employee misconduct are counterproductive and can be dealt by the employee/s involved and HR. While there are sensitive information, such as financial data, business plans, customer and supplier lists, and other records on the processes and manufacturing methods and processes, that are kept from public eye, especially from competitors. Business information, or “trade secrets”, are protected through confidentiality agreements because if these secrets are leaked, you are losing your competitive edge. And when information on customers are leaked, like credit card numbers of clients, not only can fraud and other illegal actions be committed, but also the eventual loss of present and even future clientele. Once your client’s trust and goodwill are lost, it is almost impossible to regain. With data theft on the rise, ensure that there is appropriate access, usage and information-distribution policies set in place and enforced in your workplace. Be aware of the most common causes of data theft and breach: weak security controls, hacking, loss or theft of devices, and OS vulnerabilities. Increase the level of awareness in the workplace of the effects and threats to information security. Information is critical to the lifeline of your company. This article is exclusively written for SecurityMatters by Area Creatives Hub or ARCH Offices, a Seattle-inspired office space in the heart of Makati Central Business District that offers Staff Leasing services in an urban community to support developing businesses.